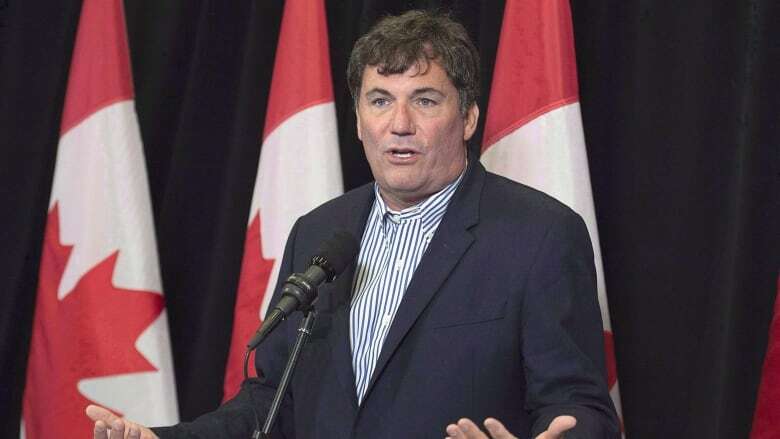 Canada's ethics commissioner says Dominic LeBlanc broke conflict of interest rules when he awarded a lucrative Arctic surf clam licence to a company linked to his wife's cousin. After a four-month investigation, Mario Dion said Gilles Thériault stood to benefit financially from the Arctic surf clam licence being awarded to the Five Nations Clam Company because he was to act as the company's general manager if it landed the licence. In his report, Dion said LeBlanc was aware of Thériault's "extensive involvement" in the fishing industry — and was also aware of his family relationship to Thériault when he made the decision to grant the licence to the Five Nations Clam Company. "In fact, Mr. Thériault raised the licensing issue with Mr. LeBlanc prior to the decision and Mr. Thériault's name appeared on the proposal submitted to Fisheries and Oceans Canada and read in full by Mr. LeBlanc," Dion wrote. The fishing licence — the fourth granted for Arctic surf clams — was for 25 per cent of the total allowable catch and was worth about $24 million in sales in the first year. Conservative B.C. MP Todd Doherty, the party's fisheries critic, initially raised concerns about the government's move to expand ownership in the fishery by clawing back part of an existing quota held by Clearwater Seafoods and handing it to a group with Indigenous representation. The Arctic surf clam is a saltwater clam harvested in the Atlantic, primarily for consumption in Asian markets as sushi. Fisheries and Oceans Canada has issued three fishing licences for the species; since 1999, Clearwater Seafoods has held, indirectly or directly, all three. LeBlanc selected the Five Nations Clam Company as his preferred licensee in December 2017 and in February 2018 his department announced a licence would be issued to the company. The department later cancelled the process for issuing the licence, but the cancellation had nothing to do with Dion's investigation, the report said. Under the Conflict of Interest Act, public office holders are in a conflict of interest when they exercise an official power, duty or function that furthers their private interests or those of relatives or friends. The act defines relatives as spouses and those related by birth, adoption or "affinity," which means relatives acquired through marriage, including in-laws. During the course of the investigation, LeBlanc insisted that Thériault was not a close or immediate family member and was one of his wife's 60 cousins. Dion said the definition of 'family' under the act is expansive and not restricted to immediate family members. He found LeBlanc breached a section of the act that prohibits public office holders from making a decision that would place them in a conflict of interest, and another section which requires them to recuse themselves from any discussion, decision, debate or vote on any matter where they could be in a conflict of interest. The commissioner said the fact that Thériault's name was on the proposal — while no doubt adding to its credibility due to his extensive involvement in the seafood industry and with First Nations in New Brunswick — should have put LeBlanc on his guard about a potential conflict. "Public office holders are not expected to have knowledge of the private affairs of each of their birth relatives, much less those of relatives by affinity. However, when they are aware of an opportunity to further the private interests of a relative through the exercise of an official power, duty or function, they must be vigilant in taking appropriate action to avoid a conflict of interest," he wrote. Responding to the report from the Liberal caucus retreat in Saskatoon, LeBlanc said he accepts the commissioner's findings "without reservation" and that he would govern his future behaviour accordingly. "I accept his determination and I will ensure that going forward we work with the commissioner's office to ensure this doesn't happen again," he said. Earlier, LeBlanc issued a statement on Twitter. "While the commissioner found that no benefit or preferential treatment was given in this case, the report shows that I should have consulted the Commissioner's office prior to making the decision," he tweeted. LeBlanc went on to say that public office holders have an obligation to follow the act, and must get clarity from the commissioner's office when there is any uncertainty about interpreting the act. The Conflict of Interest Act does not allow for any sanctions in this case. "The only direct result of an examination report is shedding light on the activity examined," said Jocelyne Brisebois, a spokeswoman for the commissioner's office. Monetary penalties up to $500 can be imposed on office holders who fail to meet reporting requirements, but they are not relevant in this case. Conservative Leader Andrew Scheer said Dion's report shows that the Liberals bend the rules to their own advantage, and that Trudeau turns a blind eye to his ministers' ethical lapses. "Ultimately, the penalty should come in 2019 where Canadians vote out a Liberal government that has allowed this culture of entitlement to set in, where Liberal ministers feel it's up to them to interpret the rules," he said. NDP MP Charlie Angus said LeBlanc should have recused himself from discussions on the licence since his wife's cousin stood to benefit. Despite Trudeau's pledge to improve ethics, the Liberals have continued the tradition of "pork barrel politics," he said. But Angus added he doubts any penalties will be brought in. "Governments never want to penalize their own members, their own ministers, so the government does not want to take these steps," he said. In the July 18 cabinet shuffle, LeBlanc was moved from fisheries to take on a new portfolio as minister of Intergovernmental and Northern Affairs and Internal Trade. Yesterday, LeBlanc's replacement, Fisheries Minister Jonathan Wilkinson, announced that a new process to grant a fourth licence will be launched next spring, so a new participant can begin fishing in 2020. An independent third party will evaluate the submissions received, he said. The government has not publicly explained why the licence for Five Nations Clam Company was cancelled; Wilkinson himself has cited "commercial confidentiality." In December 2017, Prime Minister Justin Trudeau apologized for his actions after the former federal ethics watchdog Mary Dawson found he violated some provisions of the Conflict of Interest Act when he vacationed on a private island owned by the Aga Khan over the previous Christmas season and took a private helicopter to get there. At the time, Trudeau said he believed the conflict rules did not apply because he was the guest of a family friend.